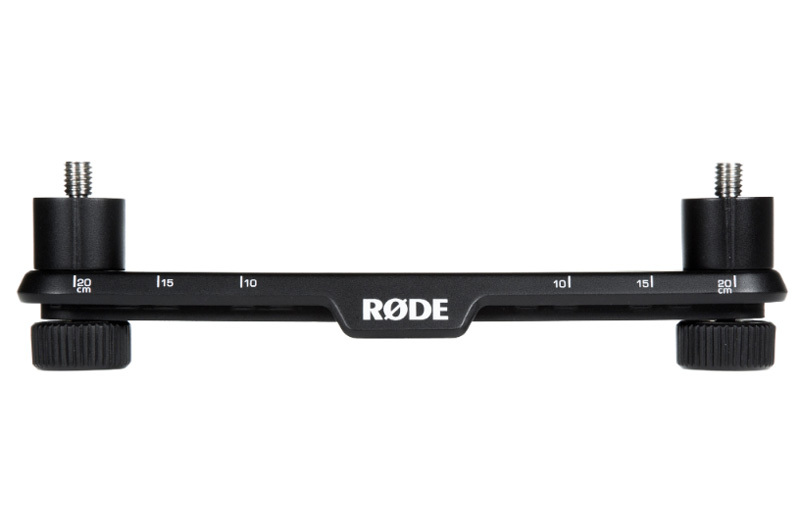 The Rode SB20 Stereo Bar is a robust solution for mounting two microphones in a stereo array. 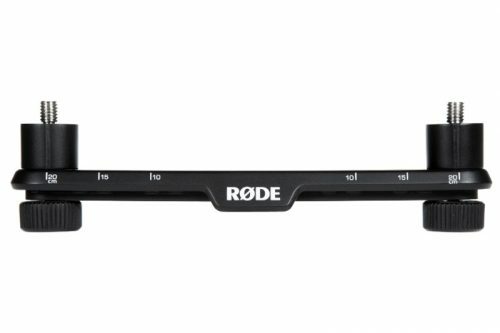 With clearly marked spacing of up to 20cm, as well as angle and measurement indicators for ORTF and XY positioning, the RODE Stereo Bar makes it quick and easy to achieve complex recording arrays. The 5/8 mounting threads are supplied with accompanying spacing clips to allow for easy positioning for stacked arrays, and the robust ABS construction makes the Stereo Bar stable and durable, allowing it to easily support the weight of two large diaphragm microphones such as the RODE K2.